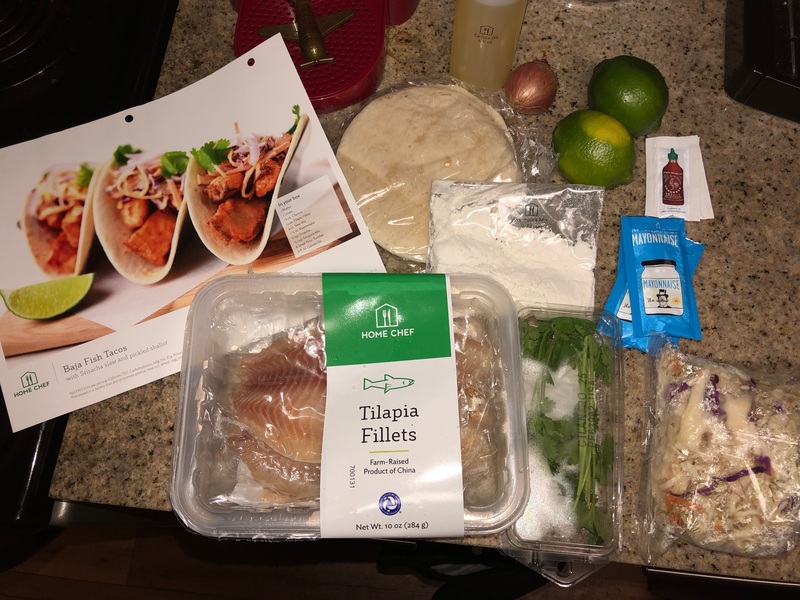 This fish taco recipe is one of my favorite recipes I have had from Home Chef. I order it every single time I see it on the menu. The fish is crispy, the slaw has a nice kick to it, and the pickled shallot give it a yummy finish. You get 3 tacos per person out of the recipe, and while it definitely is filling, I could probably eat all 6 myself. That is how good these are! Halve & peel shallot, then slice halves into thin strips. Halve the limes and juice three of the halves. Halve remaining lime piece. Stem cilantro, leaving the leaves whole. Pat tilapia dry, cut into small pieces, and season with salt & pepper. Combine shallot, 2 tbsp. lime juice, and pinch of salt in a bowl. 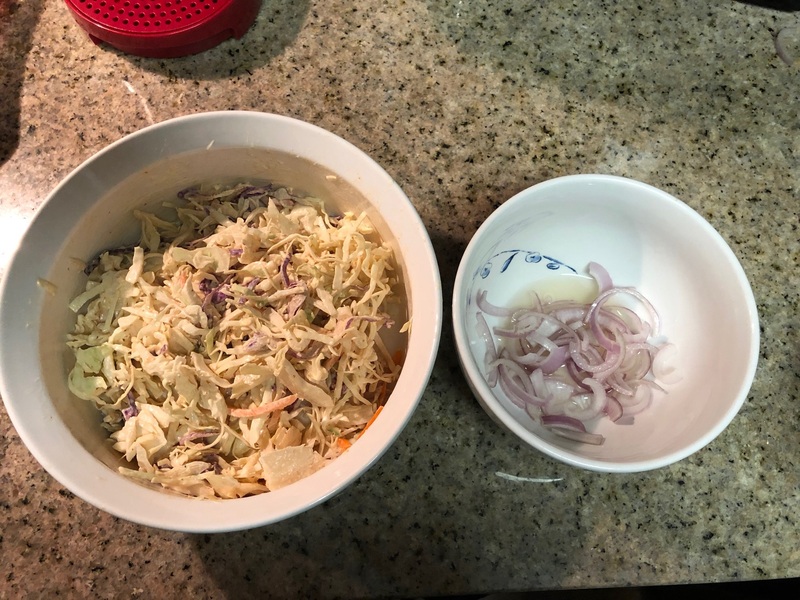 In another bowl, combine slaw mix, mayo, Sriracha (to taste), and a pinch of salt. Put both bowls in fridge until ready to plate. Combine tempura mix and 2 tbsp. of cold water in another bowl. Add more water, 1 tbsp. at a time, until the consistency is really thin, like a heavy cream. The thinner the batter, the crispier the fish will be. 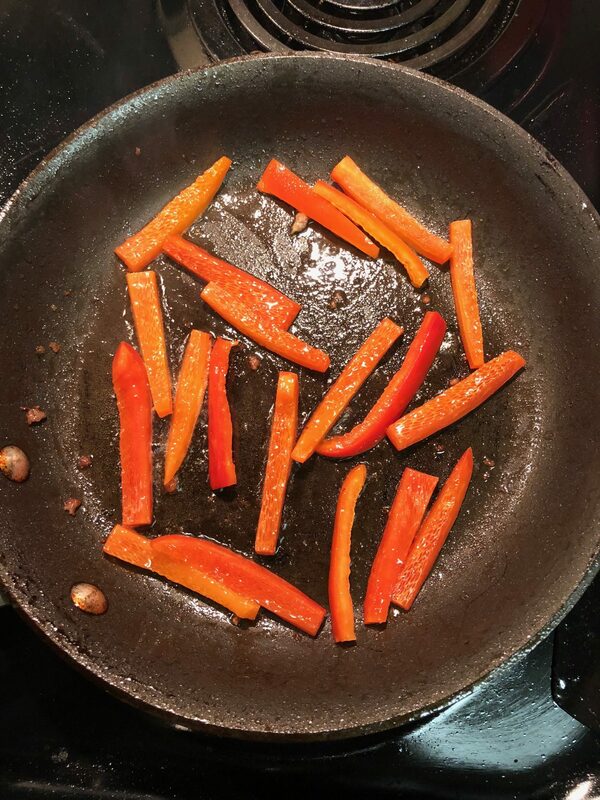 Place a large non-stick pan over med-high heat and add the canola oil, heating it for 3-5 minutes. While the oil heats, wrap the tortillas in a damp paper towel and microwave for 30-60 seconds. Then wrap the tortillas in foil to keep warm. Next, test the oil temp by adding a drop of batter to it. The batter should sizzle gently, if it browns immediately turn the hear down a bit. Line a plate with paper towel. 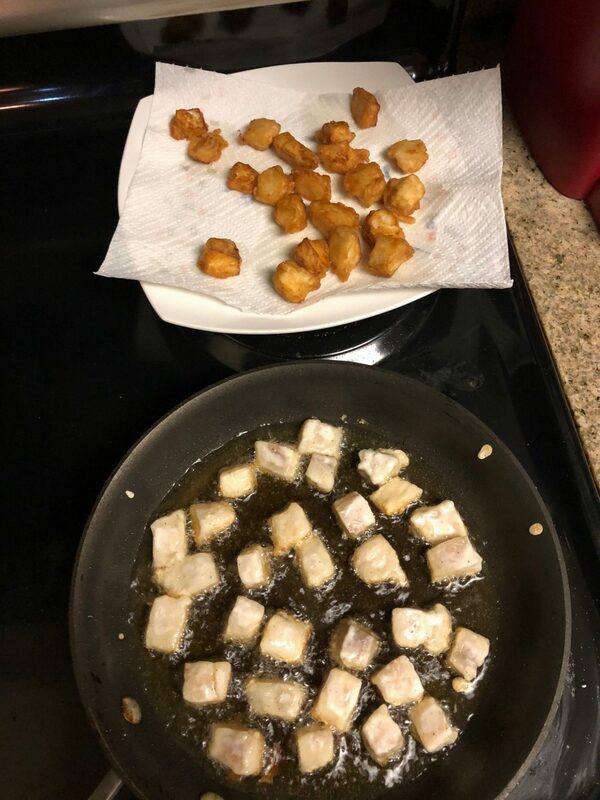 Dip the tilapia pieces in batter to coat evenly. Working in batches add the tilapia pieces to hot oil and cook until golden brown, about 2-3 mins per side. Once done cooking transfer the pieces to the towel lined plate and start on the next batch until all the tilapia is cooked. Then add salt to the pieces on the plate. 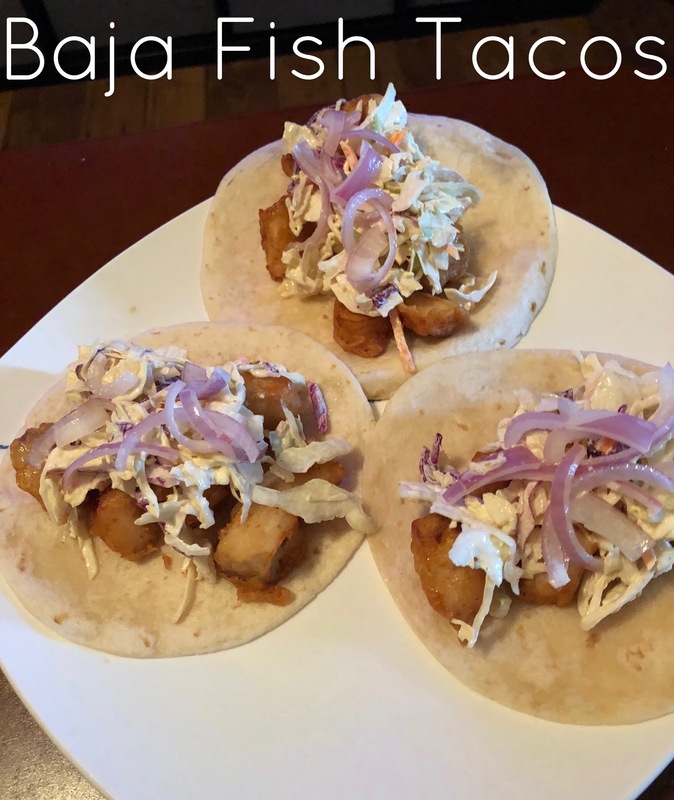 To plate the dish, place the tilapia pieces in the tortillas and top with both the slaw & pickled shallot. Garnish with cilantro and squeeze lime wedges over to taste. Enjoy! 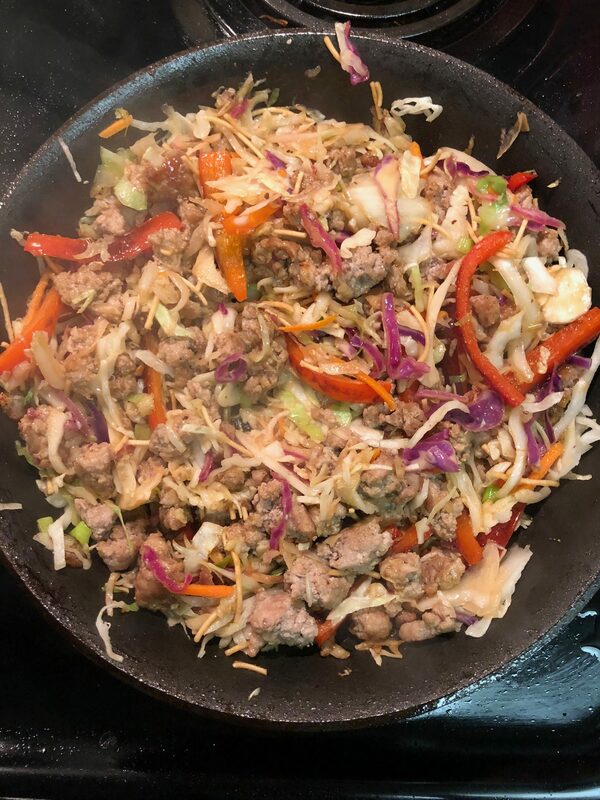 I love a good batch of fajitas and I love a good rice bowl recipe so when I found this recipe on As Easy As Apple Pie that combined both those things I was sold. 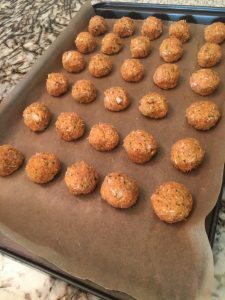 Not only is this recipe tasty but is quick and easy to prepare which is always good on a busy weeknight. 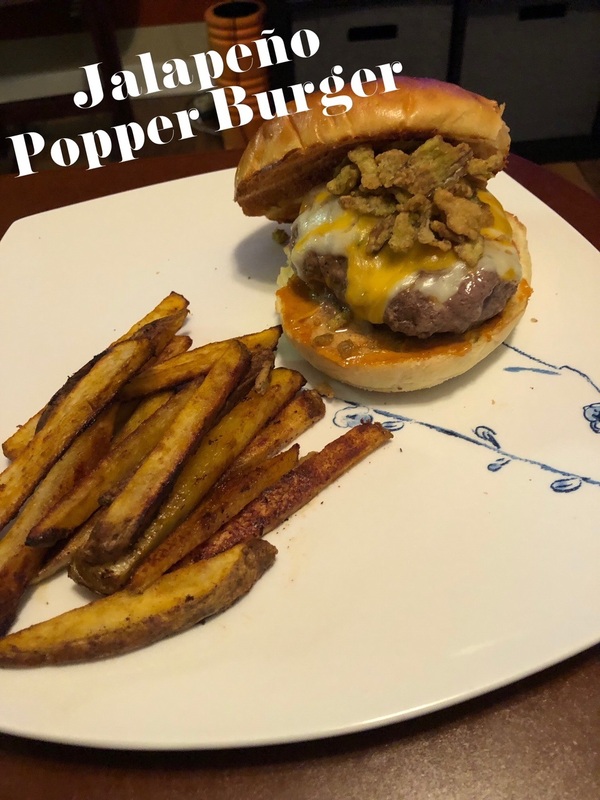 I don’t know about you but after working all day (or watching the kids all day if you are a SAHM) the last thing I want to do is make a complicated, time consuming dinner. Another plus is there was plenty leftover for both Luke & I to have it for lunch the next day. 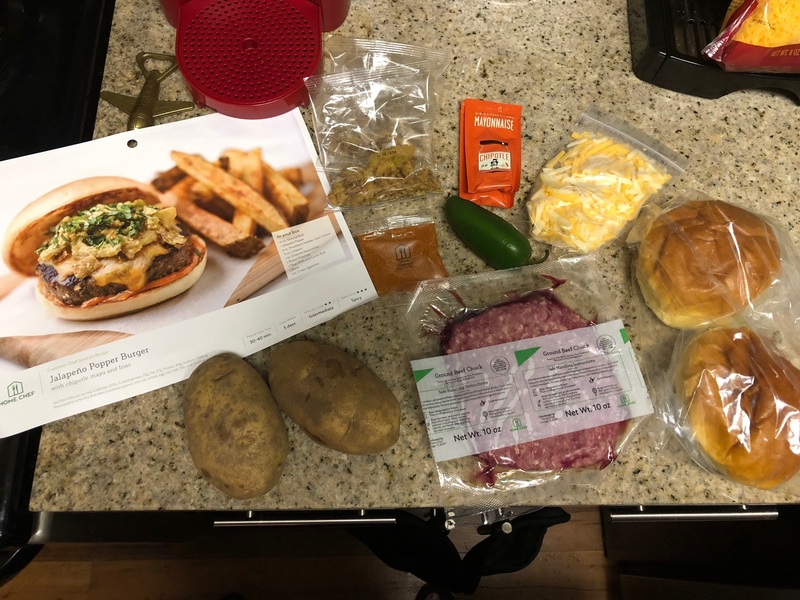 I love it so much I have it on my menu for this week again. I top my bowl with Mexican shredded cheese & sour cream but there a ton of toppings you can include: sliced avocado, pico de gallo, guacamole, diced tomatoes, lettuce, etc. If you prefer traditional fajitas you can easily put the chicken & veggies in a flour tortilla with all your toppings. Enjoy! Preheat the oven to 400 degrees F. Lightly spray a large rimmed baking sheet with cooking spray. Prepare the seasoning by stirring all the ingredients in a small bowl until well combined and set aside. Spread the peppers and onion on a baking sheet, top with the chicken strips then sprinkle with seasoning, and drizzle with olive oil. Toss until everything is coated and spread in an even layer, then bake in the preheated oven, stirring half way through, until the vegetables are cooked and the chicken is golden brown, about 20 minutes. 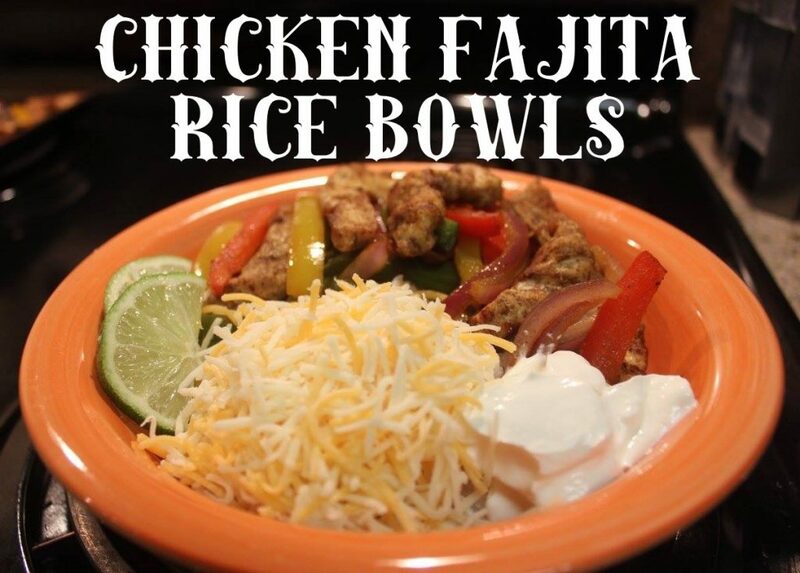 Divide the rice evenly in bowls, add the chicken & veggies, and whatever toppings you prefer. Complete with a squeeze of lime juice and a bit of cilantro if desired. It feels like I save a recipe from Buzzfeed/Tasty via Facebook every single day. I have made quite a few of them and every single one has been delicious. Pasta is one of my favorite things to make because there are so many varieties and there are always leftovers. 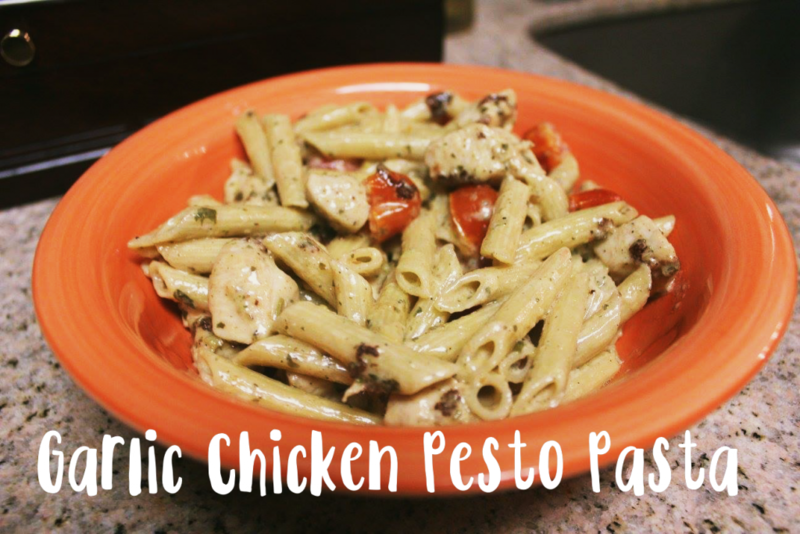 I have made this ‘Garlic Chicken Pesto Pasta’ recipe twice in the past few weeks. It is flavorful, filling, and easy to make. All the things I like when I decide to make a new dish. 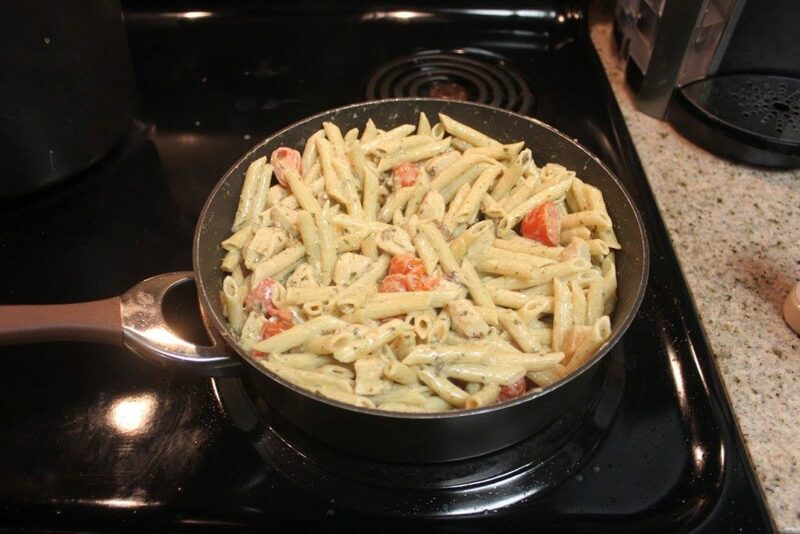 Now the recipe title says “one-pan” but technically you have to make the pasta first in a pot BUT everything gets mixed together in one pan so I will let that slide. Do yourself a favor: Make this recipe. You won’t be disappointed! 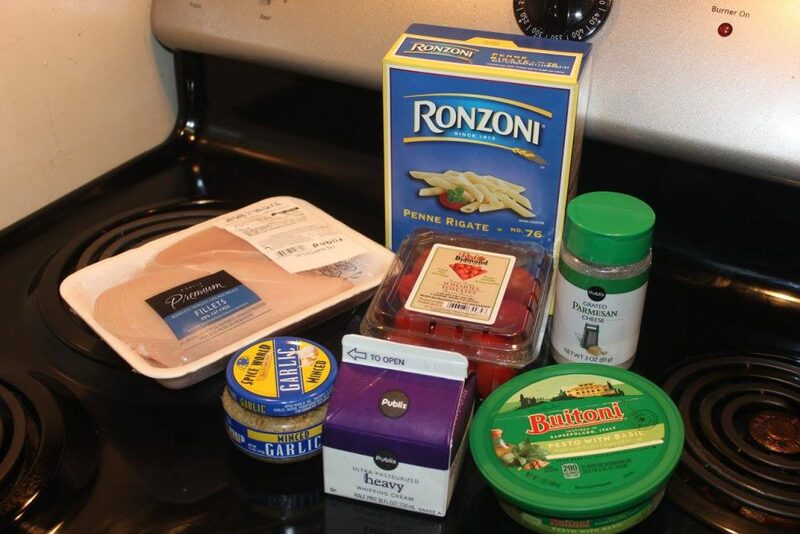 I am always on the hunt for a easy, chicken dinner that is packed with flavor. Chicken breasts are my go to but I find that simply marinading and cooking them in the oven gets very, very boring after a while. I love a good casserole because it not only gives you a hearty dinner but there are always leftovers for the next day. When I was younger my mom would make a dish very similar to this and I LOVED it! This is a simpler version of hers but it came out just as good as the one I remember. This recipe I found didn’t call for bread crumbs but that was something my mom’s had that I just couldn’t leave out. 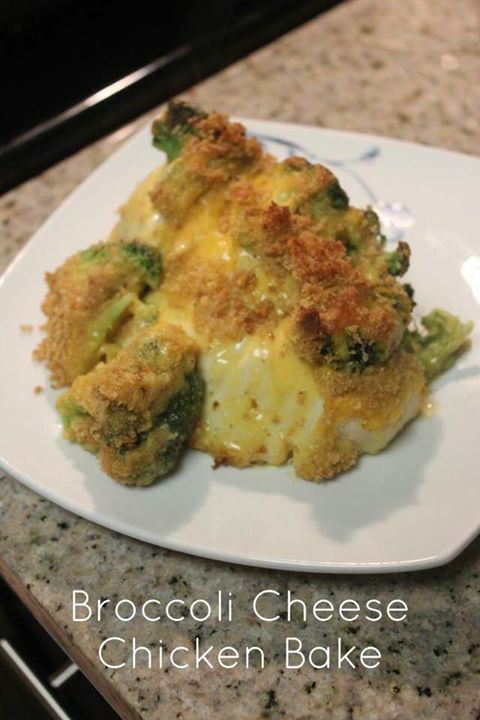 This recipe is great for kids because who hasn’t tried to disguise broccoli with cheese? I am pretty sure that is the only way I would eat broccoli when I was a kid. Easy to make for the parents, good to eat for the kids…That is a win win! 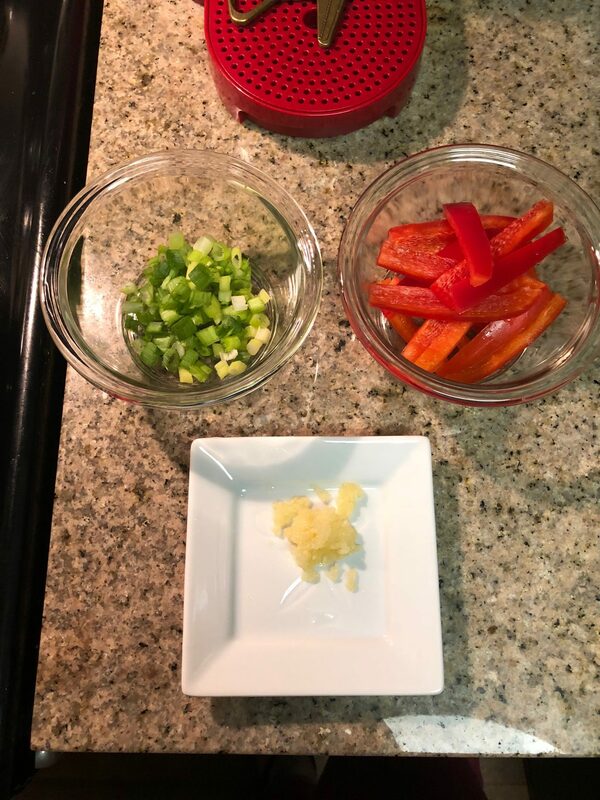 Campbell’s Dinner Sauces come in varieties for Slow Cooker, Oven and Grill and all sorts of flavors, making it easy to find a quick, weeknight dinner to make. You can find more delicious Campbell recipes here. 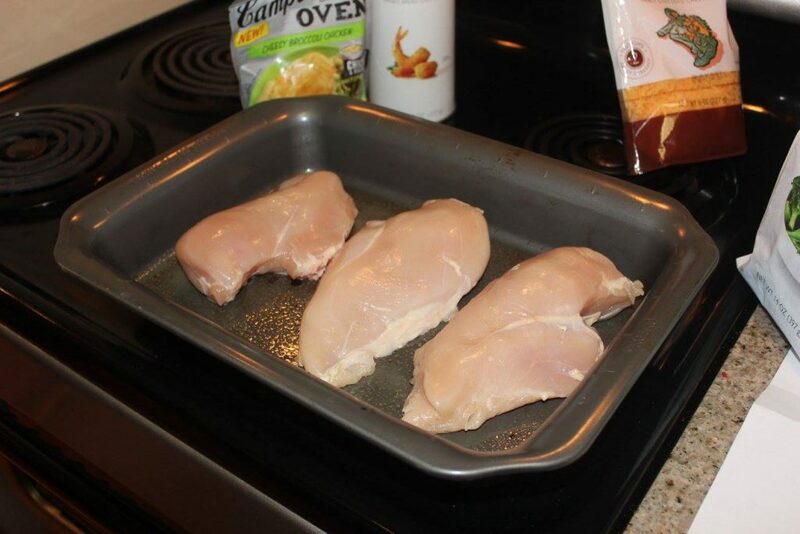 You can also find some other delicious chicken bake recipes at The Pinning Mama. 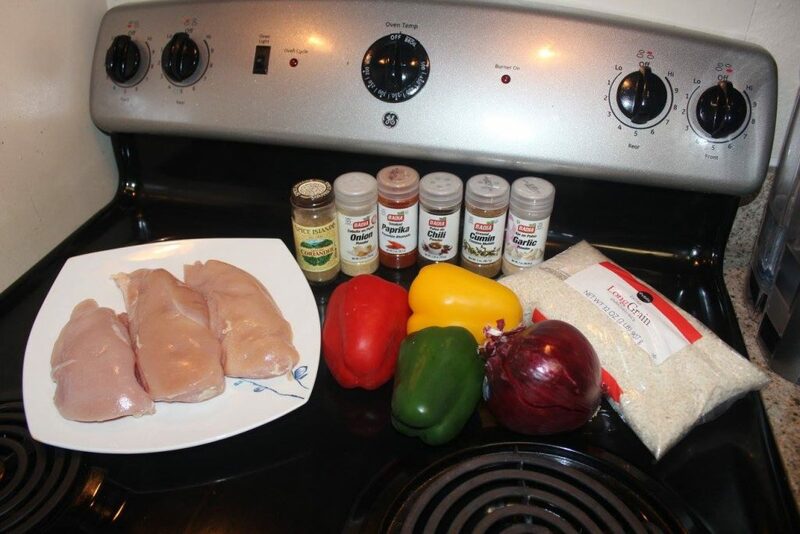 I think the next one I will try is the Fajita Chicken Bake. YUM! Verdict: This is delicious! My husband is a tough critic when I try new recipes and he went back for seconds so that is a success in my book. I chose to eat just the casserole on it’s own but you can put it on top of some rice, pasta, or spinach for a lighter option. Enjoy!! 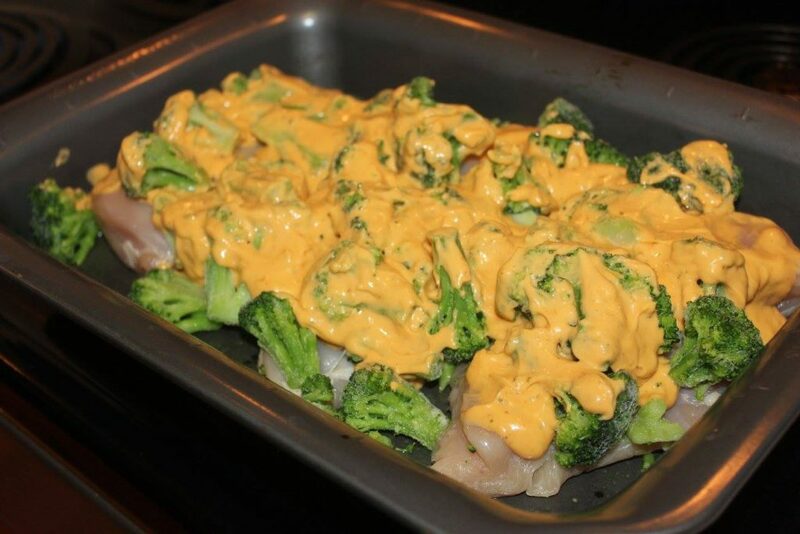 Spread the package of the Campbell’s Oven Sauce evenly over the top of the broccoli. Take the melted butter and add to breadcrumbs, mix together, then add on top of the shredded cheese. Check the chicken throughout to make sure that the top is not too brown, if you don’t want it to get any more browned, then place a piece of foil loosely over the top for the remainder of the cooking time. *If your store doesn't have the Campbell's sauce you can use 2 cans of Campbell's Condensed Broccoli Cheese Soup as a substitute. *I wait to add the cheese & breadcrumbs until halfway through cooking. This way you don't risk burning them. *After cooking the casserole for 40 minutes I took it out, cut the chicken into chunks, mixed the chicken back into dish, added a bit more cheese & breadcrumbs (because why not) and then cooked for another 10 minutes. I prefer smaller pieces of chicken so this step is 100% a personal preference. One of my absolute favorite things to do is have a game night. It is a great way to get together with friends & family, eat some good food, have a couple drinks, and have a ton of fun & laughs. Luke & I have about 25-30 board games and I am always buying new ones. Since my mom was hosting she asked a couple of us to bring an appetizer. I wanted to try something new so off to Pinterest I went. 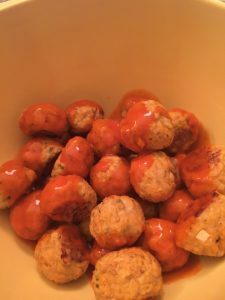 We settled on buffalo chicken meatballs and they were definitely the right choice. 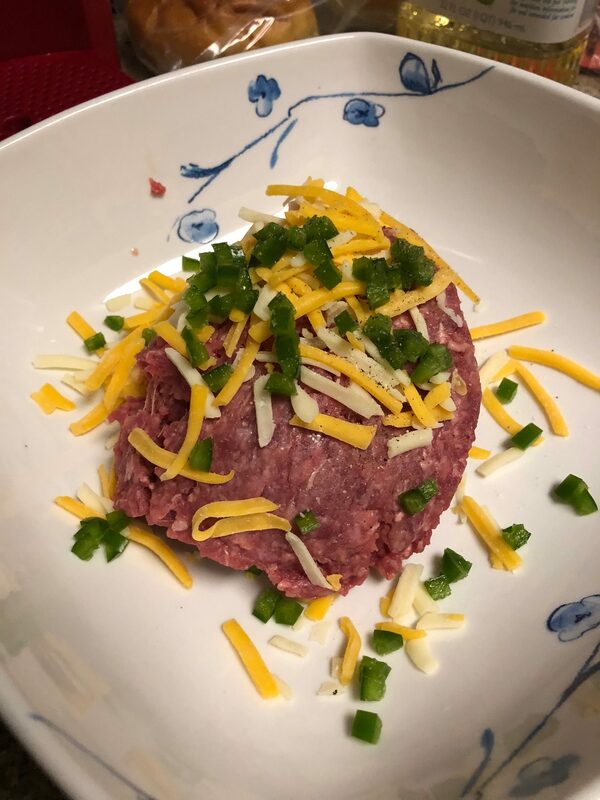 They were easy to make and packed with flavor. Next time I will need to double, or even triple, the recipe because they went fast. We mainly played “Watch Ya Mouth” and it was hysterical. I haven’t laughed that hard in a while. I’ve watched the videos probably 5 times each. With permission of everyone I will post some of those videos on my Facebook page so you can go there if you want a good laugh. If you have never played this game you need to! There a few different versions and if you are going to buy one this is the better version. The cards have sentences on them versus just a few words so it makes the game a bit more challenging and a lot more fun. We all agreed we need to start doing game nights at least twice a month. Who wants to come join? Serve as an appetizer with blue cheese and ranch dressing. Trader Joe’s is by far my favorite grocery store of all time. They opened two locations near me in the past couple years and I have been obsessed since the moment I stepped foot in there. I love the ambiance, the food selection, the price, the employees, everything about it! Between the things I must get every time and suggestions from friends I have complied a list of Trader Joe’s must haves. 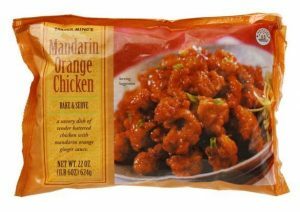 Mandarin Orange Chicken- This was voted “Favorite Overall” in the 2016 Customer Choice Awards. 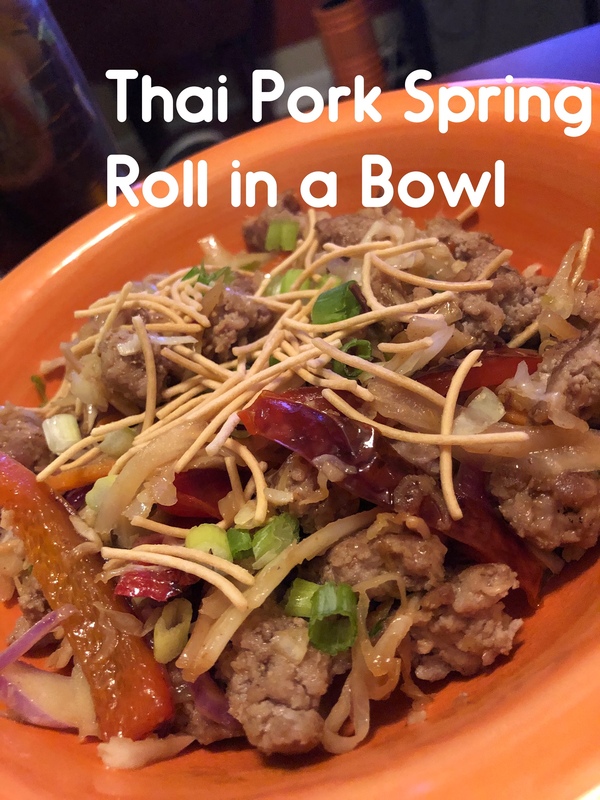 It is quick to make and has great flavor. The orange sauce is just sweet enough but not overpowering like some orange sauces can be. $4.99 for 22 oz bag. Vegetable Fried Rice- I always pair this with the Mandarin Orange Chicken for a quick & yummy weeknight dinner. Both together are enough for feed 2 and still have enough for leftovers the next day. They also make a Chicken Fried Rice which is really good. $2.99 for a 16 oz bag. 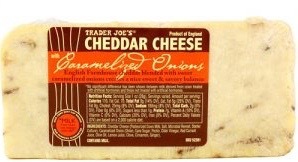 Cheddar Cheese with Caramelized Onions- It is a rich cheese with sweet & savory caramelized onions adding great flavor. If you don’t like stronger flavor cheeses this probably isn’t for you. $8.99/lb but you can get smaller portions, I get a good block for about $3.50. Reduced Guilt Spinach & Kale Greek Yogurt Dip-I am a HUGE fan of dips, all kinds of dips, but they usually aren’t the healthiest things to eat. This dip is a great low fat, low calorie choice. Made with kale, spinach, Greek yogurt, water chestnuts, red peppers, carrots, green onions, garlic & other seasonings. 16 oz tub for $3.99. 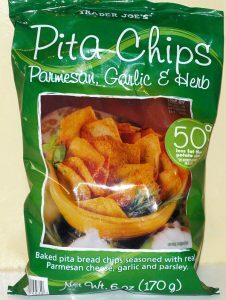 Parmesan, Garlic & Herb Pita Chips- This is a great chip to use with the Spinach & Kale Greek Yogurt Dip but beware if you don’t pay attention you will eat the whole bag in one sitting. They also have Sea Salt, Cinnamon & Sugar, and Multigrain with sesame seeds. I haven’t tried any of those flavors but I am sure they are just as good. $1.99 for a 6 oz bag. 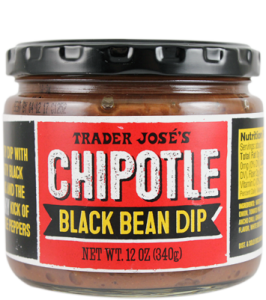 Chipotle Black Bean Dip- This is a fat free, no cholesterol, vegetarian bean dip. Contains chipotle chilies in adobo sauce are pureed into black beans which gives a combo of smokiness and mild spiciness. $1.69 for a 12 oz jar. 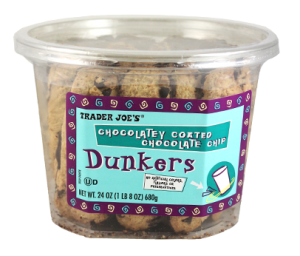 Chocolate Chip Cookie Dunkers- Need I say more? Think chocolate chip cookies that are the perfect shape for dipping into milk, coffee, ice cream, whatever you heart desires. The bottom of each cookie is dunked in chocolate coating taking the basic chocolate chip cookie to another level. $4.99 for a 24 oz tub. 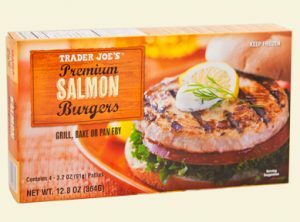 Premium Wild Salmon Burgers- These burgers are made with wild pink salmon from Alaska, skinned & deboned, then tossed in a mirepoix seasoning (which is a combo of carrots, celery and onions) and some sea salt. 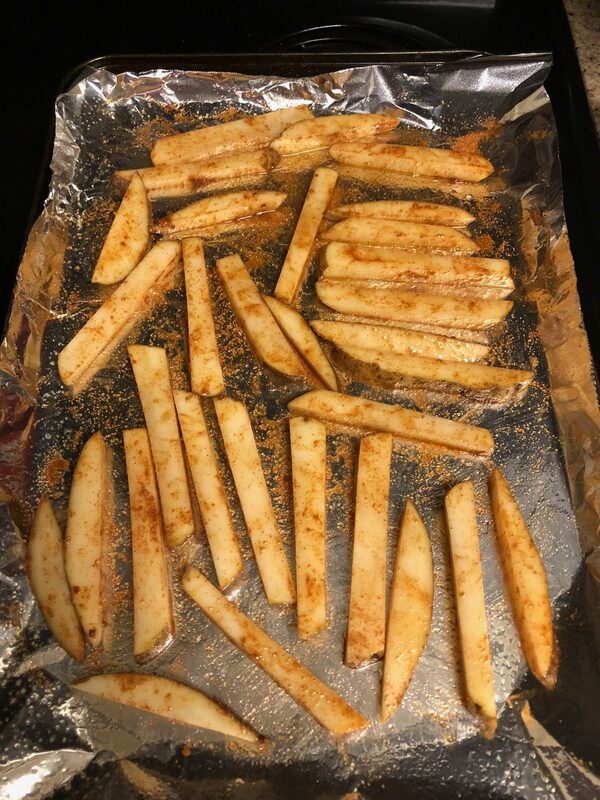 They don’t need to be thawed, can go straight from freezer to grill which is a such a time saver. $5.99 for a 12.8 oz box of 4 patties. 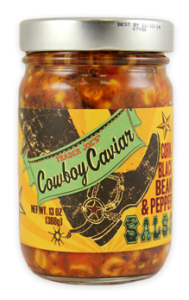 Cowboy Caviar Salsa- This salsa is meant to be a pizza topping! I would never think to put salsa on pizza but I trust Trader Joe’s knows what is best. This salsa is a mix of black beans, corn, onions, and red bell peppers, pickled in a blend of chipotle peppers, adobo sauce, and lime juice concentrate. Gives a great southwestern-style kick to your pizza. $2.49 for a 13 oz jar. 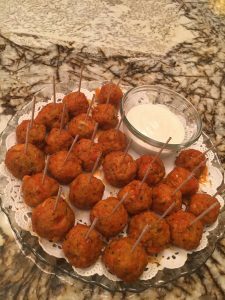 Gluten Free Chicken Nuggets- To start the chickens used for this product are raised on an all-vegetarian diet, without the use of antibiotics. Wheat flour is used for the breading and they are clear of 7 major food allergens, including: milk, eggs, fish, crustacean shellfish, tree nuts, and peanuts. Out of the oven you get a crispy exterior with a moist, tender center. $4.99 for a one pound bag, which is about 16 pieces. Balsamic Glaze- Made in Modena, Italy this balsamic glaze is the ideal balance of sweet and bitter. Perfect for salads, as a drizzle over meat or fish, or as a dessert topping over berries or vanilla ice cream. $2.99 for a 8.5 oz bottle. 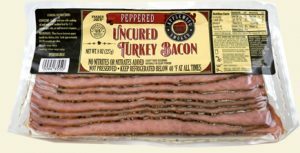 Turkey Bacon- This turkey bacon is made with boneless, skinless thigh meat from turkeys that are not treated with antibiotics. It is 97% fat free and has no added nitrites, artificial flavors, colors, or preservatives but still has that delicious apple wood smoked, bacon flavor that a lot of other brands lack. $2.99 for a 8 oz package. Triple Ginger Snaps- If you love cookies & ginger these are the treat for you. They get their ginger flavor from crystallized and ground ginger. Try them with some vanilla ice cream or cookie butter for a yummy dessert. $3.99 for a 14 oz tub. 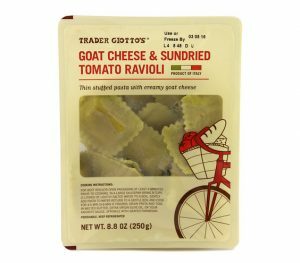 Goat Cheese & Sundried Tomato Ravioli- Anyone who knows me know that goat cheese is one of my all time favorite foods. Just the other day I had an AMAZING grilled salmon over a fried goat cheese ball with balsamic onion confit on top but I digress. These raviolis are a quick, simple weeknight meal. The outside is a spinach pasta and of course inside is a goat cheese, sundried tomato mix. $2.99 for an 8.8 oz. container . 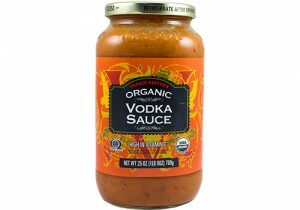 Organic Vodka Sauce- All the ingredients in this vodka sauce are organic from the tomatoes to the cheeses to the cream and the herbs. I used this sauce over the goat cheese & sundried tomato ravioli and it is a great combo. $2.99 for a 25 oz jar. Roasted Seaweed Snack- These sheets of seaweed are dried and roasted with a touch of oil (sesame & canola) and sea salt and then cut into strips. They are crunchy and have a nutty flavor. Each package has about 60 calories. 99 cents per .4 oz package. PB & J Bars- The kid in me loves these bars. The outside is made with oats, peanut butter, rice flour and peanut floor while the inside is a sweet, strawberry fruit filling. These bars are low in sodium, no cholesterol, and 8 grams of whole grains per bar. They are also certified gluten free and kosher (dairy). $2.69 for a 7.4 oz box which contains six 1.2 oz bars. 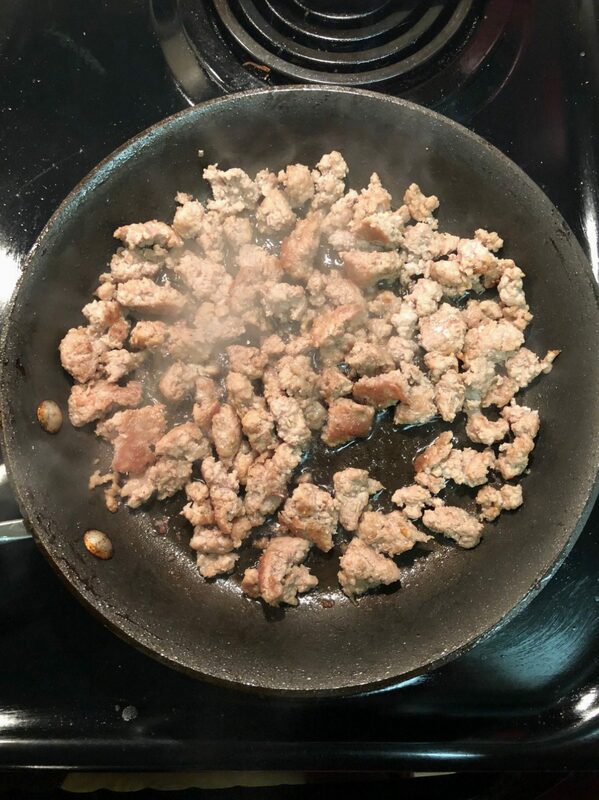 Uncured Bacon Jam- Bacon jam! Need I say more?! 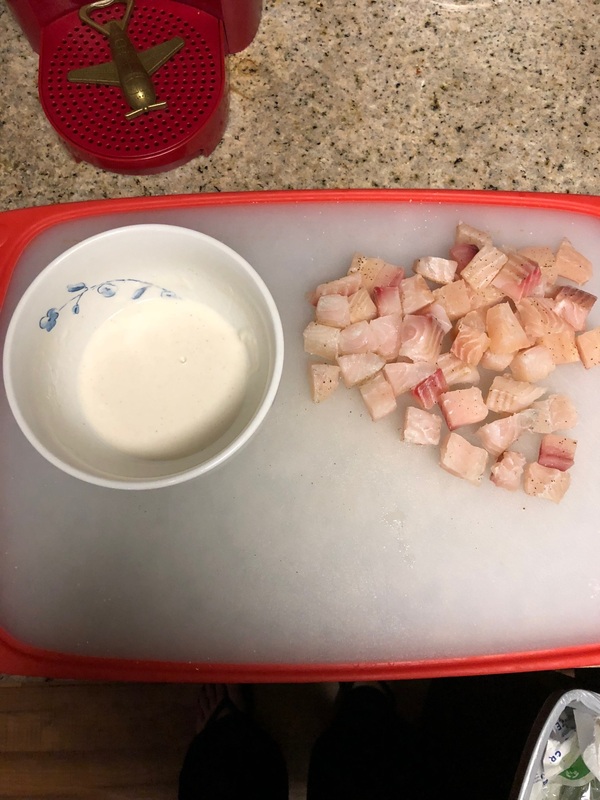 Free of artificial ingredients, it’s essentially uncured (no added nitrates/nitrites) applewood smoked bacon, simmered down slow with onions, dark brown sugar, and apple cider vinegar until it’s dark and rich. Put it on sandwiches, toast, or just eat it straight out of the jar. $4.49 for a 8.5 oz jar. 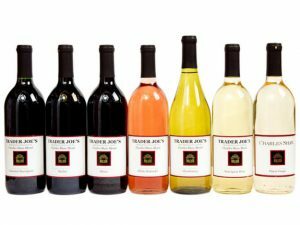 $1.99 in CA; $2.49 in OR & WA; $2.59 in ME; $2.79 in GA; $2.99 in NV, AZ, NM, TX, IL, IA, NE, KY, WI, MO, IN, MI, MA, NJ, DC, NC, SC & FL; $3.29 in VA; and $3.79 in OH. Last, but definitely not least, COOKIE BUTTER!!! Before I went to TraderJoe’s for the first time I asked the Facebook world what I HAD TO HAVE and every single person said cookie butter. Now I know why. This stuff is ridiculously good. I eat it straight from the jar by the spoonful. I actually haven’t even tried it on anything but I imagine there are endless possibilities. There are 3 different varieties: Original Smooth, Crunchy and Cookie & Cocoa Swirl. 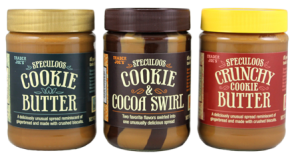 Original & Crunchy are $3.69 for a 14.1 oz jar and Cookie & Cocoa Swirl is $3.99 for a 14.1 oz jar. 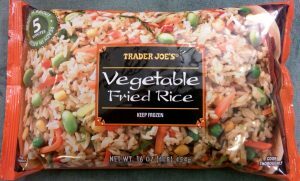 What are your favorite things from Trader Joe’s?? What is better than ice cream? 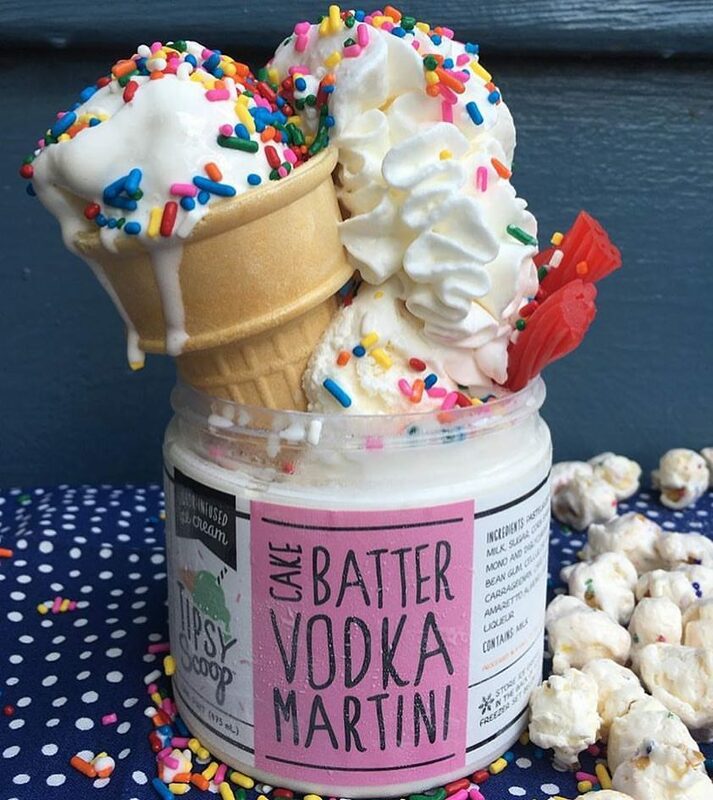 Ice cream infused with liquor! I have no idea how long these have been out but they are new to me. 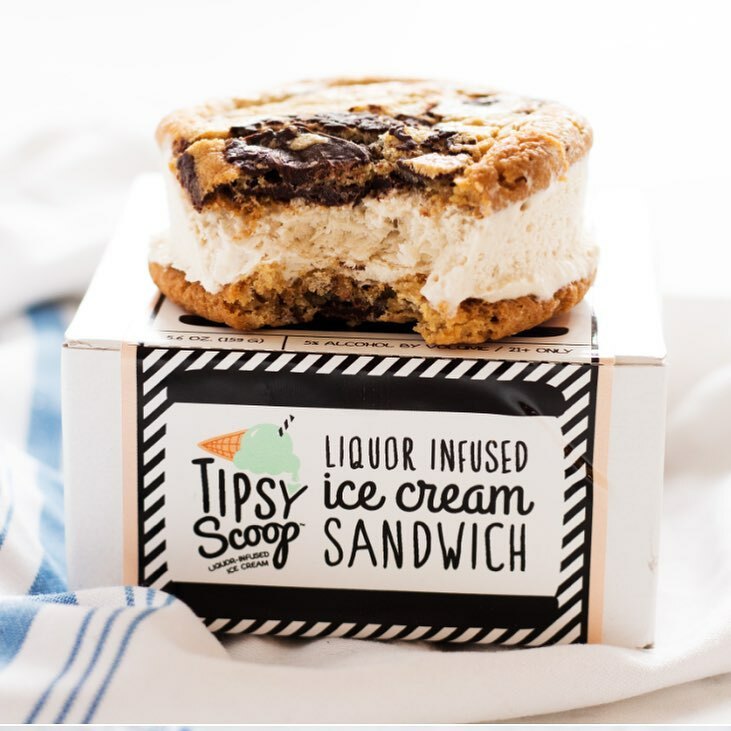 The company, Tipsy Scoop, is based out of New York and is yet another reason why I should be living in NYC. 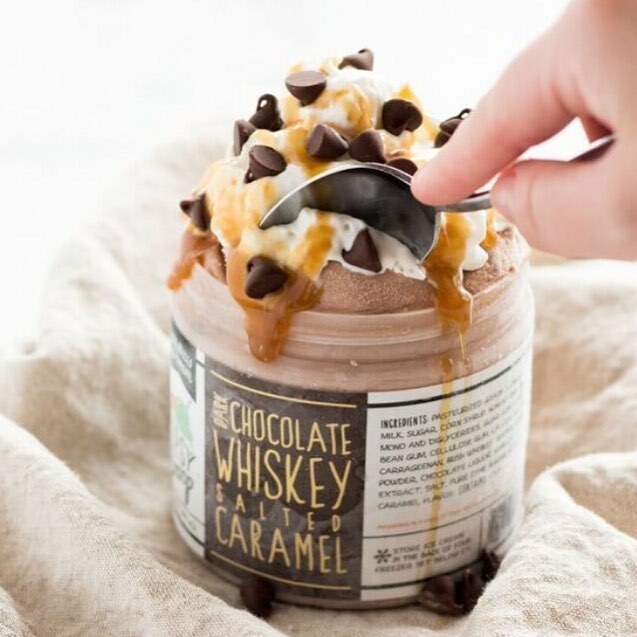 The packaging is adorable, the flavors sound AMAZING, and again it’s liquor in ice cream!! They have the ice cream available in pints, quarts, ice cream cakes, and ice cream cookie sandwiches. 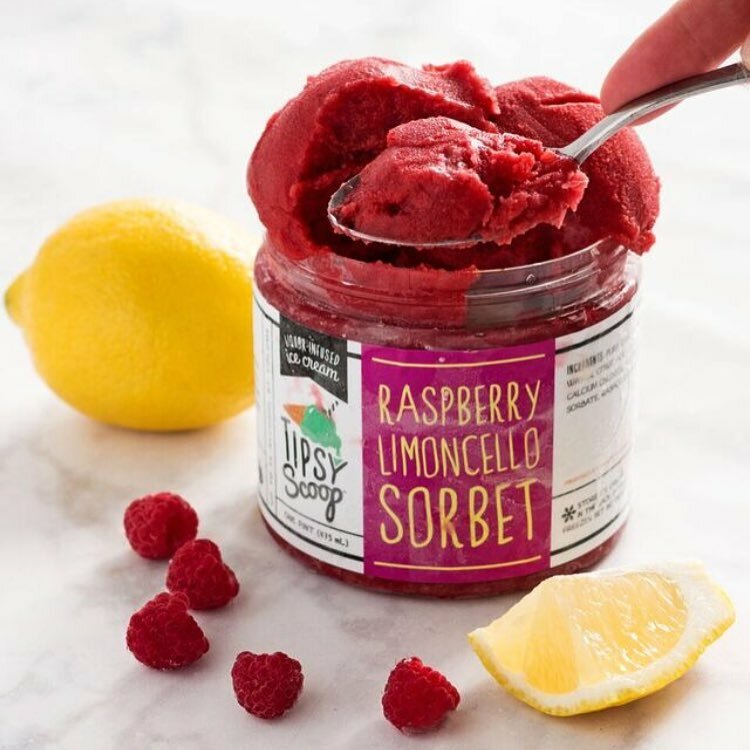 There are year round flavors & they also offer seasonal flavors….could you imagine how yummy the Christmastime ones would be?!?!?! 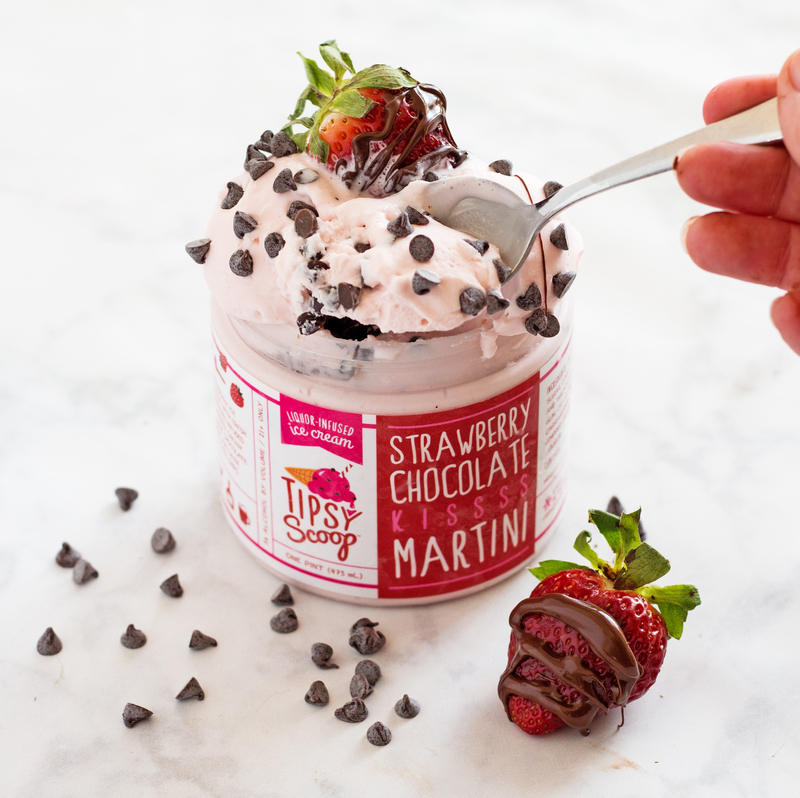 You can also customize the packaging & flavors which is perfect for weddings, corporate functions, birthday parties, or just a fun girls night. Of course the price is pretty steep BUT if you split it with friends you can each get your own pint and then it isn’t too bad….Which one would you try? 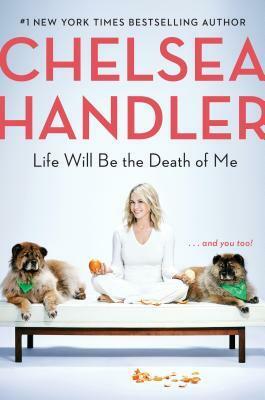 You can order online at their website or go to the retail locations. They are mainly in NY but they do have locations in Iowa, Illinois, Maryland, & Florida.